©2007 Seonna Hong/Kaikai Kiki Co., Ltd. All Rights Reserved. 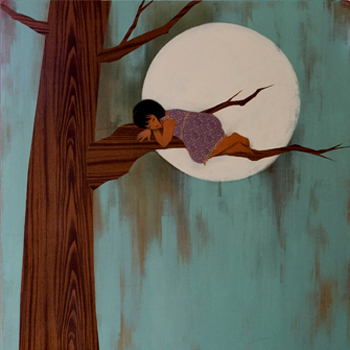 On May 8 2008, Kaikai Kiki Gallery will play host to a solo exhibition by artist Seonna Hong. Hong’s works showcase a landscape that, at first glance, looks to be from a fairy tale world. Beyond this surface, however, is a collection of deeply moving scenes culled from the reality of the artist’s home and birth place in LA. In her hands, the city’s violent character is transformed into fantastical imagery, affixed with a distinctly Asian taste. This exhibition of new works is your chance to taste this unique new reality for yourself. Hong began working in animation in 1999 and is now an art director. Her unique list of career achievements includes winning an Emmy in 2004 for “Individual Achievement in Background Styling.” She currently lives in LA, and exhibits her work at galleries and museums in the United States. Seonna Hong was introduced to Japan at the “Exhibition Kaikai Kiki Artists” held in March 2008. The upcoming exhibition, which includes several new pieces, will feature a total of 15 works –large and small. All will be available for purchase.